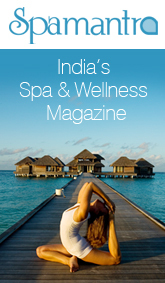 The spa and wellness industry is slowly finding its feet in India, thanks to a growing breed of spa professionals in the country. However, huge bedrocks have been laid by spa experts from outside of India, who brought their experiences of this primarily Western concept. 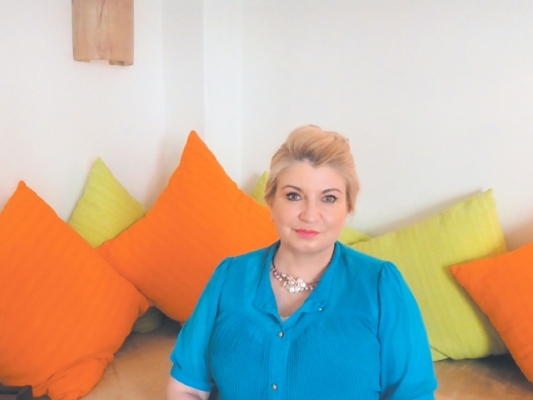 One such expert is Tracey Poole, who is currently the Spa Director of India’s first Six Senses Spa and has set up this prestigious brand at the Jaypee Greens Golf and Spa Resort, Greater Noida. We learn more about her passion for this industry and chart her career path in this interview. You have been associated with running some of the most well known spas in Asia, and are the Spa Director of the first Six Senses Spa in India today. Tell us about your journey. I have an extensive career history spanning over 20 plus years dedicated to the Spa, wellness and hospitality industry with many years working in luxury iconic five star Hotels, Resorts and Spas. Most of the last 10 years has been spent working in South East Asia and the Middle East. My roles in the Spa and Hotel industry has been dynamic in various fields of Management including that of Company Director, Regional and Area Director roles, Operations Management, Director of Spa’s and Spa Management. These roles have included many dynamics associated with Spa operations, Spa brand and business development, Spa operations management; and the conception, pre and post opening of luxury iconic Spa & wellness facilities. This lead me to my current placement with the award winning globally recognised Six Senses where I have been working over 5 years and in my current role working in India as the Director of Spa facilitating the set up, opening and development of the Six Senses Spa at Jaypee Green Golf and Spa Resort, Greater Noida, India. 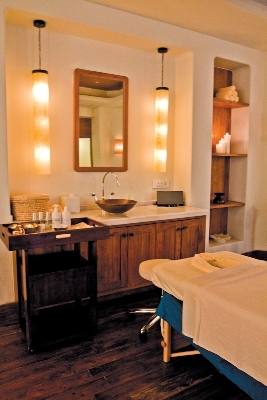 How did your interest in spa and wellness awaken? And when did you enter the spa industry? As a child I was always interested in the healing aspect of human nature; initially I planned to train as a Nurse as did my Mother and her Mother and all of my Mothers sisters but then I realised early on that my personality was better suited to a career focused on holistic healing and wellness rather than on caring for the sick. So back in the 1990’s directly after University I pursued my initial training as an Aesthetician with the New Zealand Institute of Aesthetics, Spa Therapy and Electrolysis and that provided me with the platform to continue to develop, train and take my chosen career forward. In essence I have been following this career my entire working life. This is your first assignment in India. How has the experience been? 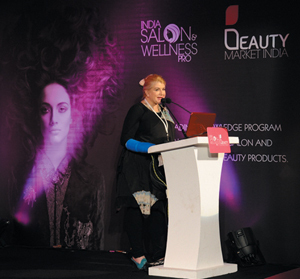 I had already been associated with the Spa industry in India having worked for Taj Hotels earlier in my career. Although whilst I was working for Taj Hotels, I was not based in India but being such a strong Indian brand it certainly assimilated me with the Indian culture and therefore I had a desire to return and have more involvement within the hospitality industry in India. Six Senses and Jaypee Greens provided me with that opportunity. What was your first project with Six Senses? My first assignment was for three years as the “Regional Spa Director” overseeing the Operational Management of the Six Senses Spas for the Maldives and Sri Lanka regions. How has your personal training played a role in your responsibility as Spa Director? I am a trained Aesthetician and a graduate of the N.Z. Institute of Aesthetics and Electrolysis, with all National and International certification including I.T.E.C; CIDESCO and NZQA. This has been the entire platform on which I have developed in my career. My many professional and personal life experiences have also enabled me to ensure a strong level of self motivation to ensure my responsibilities as a Spa Director and Manager is implemented. How different are spa clients in the India in terms of the client profile and expectations as compared to those around the world? Client profiles often have similarities around the World and genetics, lifestyle, external influences all impact on client profiles however in India cultural beliefs and influences from family can unfortunately impact negatively on the Spa and wellness industry and in some regions it will take time to develop. Price barriers and perception that investing money on health and wellness is a luxury is slowly changing but it will take time. How do you personally keep abreast with new developments in the Spa industry? Networking with associates and friends from the industry, attending events, tradeshows, conferences and seminars in related fields and lots of personal reading and research. I also continue to learn through my work peers and from my teams as they grow and develop in the knowledge of the industry. What in your opinion is the most important characteristic a Spa Director should have? One should be caring, inquisitive and passionate about the industry with a good level of tenacity and patience. How big is your team? What are the most important qualities you look for in them? Currently my Spa team is quite large in comparison to other Spa Resorts due to the size and capacity of the Six Senses Spa at Jaypee Greens. It is one of the biggest in the Six Senses portfolio. I am always continuously and currently looking for staff especially Spa therapists and the personal and professional qualities I look for in Spa therapists are good communication skills, willingness to learn and train, honesty and above all “caring” with healing hands and hearts. 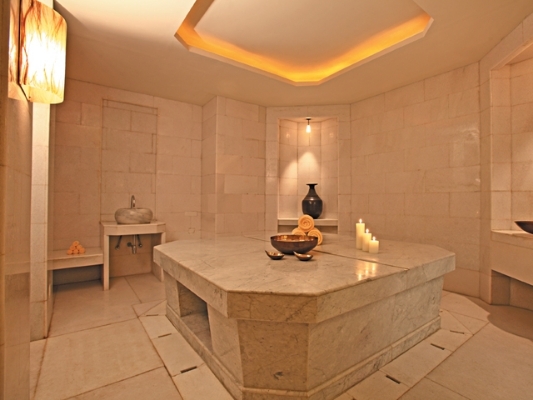 What, according to you, is the biggest challenge to Spa operations in India? Certainly recruitment and retention is at the top of the list, sourcing the right people, investing time and costs developing and training them and then retaining them enough to establish the return on that professional investment. 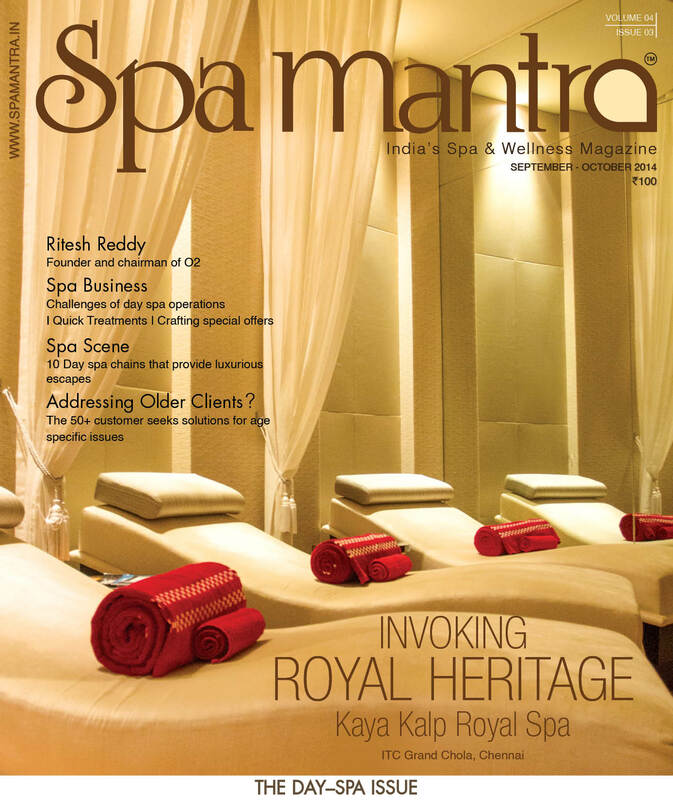 What is the biggest opportunity to Spa Operations in India? 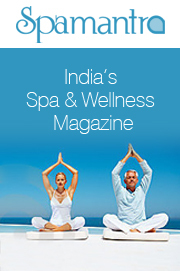 The population in India helps to support the development of the Spa business. Opportunity is also enhanced through communication mediums such as the media, TV and social networking helping to educate and boost the growing level of awareness in India (also worldwide) of the benefits to living healthier and spending time on therapeutic wellness treatments within a professional Spa environment to improve overall wellbeing and to enhance better quality of life. How important is formal training for spa therapists and managers? It is of the foremost of importance to providing ongoing quality and professionalism within the industry. Your spas have been winning awards aplenty….what is the strategy that keeps them world class? Brand ‘authenticity’, the ‘people’ working within the brand, and ‘training’. What would you say are the high points of your career? This is a hard one because there have been many challenges and opportunities that have shaped my career today and I am eternally grateful for them all. You have been in India for a few months now. How has it influenced you and your work? There are many similarities within the Hotel and Spa industry worldwide but presently working in India has certainly opened my mind to the vastness of opportunity and growth that the Spa industry has here and how it can influence and enhance the lives of many Indians. I love the essence of the spirituality within India and this enhances further the integration and development of wellbeing and Spa into the country. Oh gosh, ultimately I would like to own my own “Luxurious Wellness Destination and Spa Resort” but that’s a little way off. Education: Aesthetician and a graduate of the N.Z. Institute of Aesthetics and Electrolysis, with National and International certification including I.T.E.C; CIDESCO and NZQA. Business Diploma graduate, Aromatherapy and Reflexologist, Reiki certified and Trinity College of Music Speech and Drama graduate. How often do you get to holiday? Usually twice a year, and as I travel with my job a lot, for holidays I usually just end up back home in New Zealand spending time with family and friends. Hobbies/ interests? I absolutely love reading, also meditating, walking especially in the mountains and forests, Yoga, spending time with family and friends, social networking within my profession, travelling and meeting people from different backgrounds and cultures, tasting various cuisines around the World. Favourite cuisine? Beverage? I enjoy so many cuisines but especially wholesome foods and lots of fruits and vegetables. Non alcoholic fav beverage is “pure grapefruit juice” and alcoholic beverage is “champagne”. Luxury for you is…. A peaceful day at home with family and loved ones. Person you are most inspired by? My Spa Teams that I am fortunate to have working with me and my Managing Director at Six Senses. Most memorable moment? The birth of my son. Career high? Opening Six Senses in India at Jaypee Greens and I am very happy that Six Senses Spa at Jaypee Greens Golf Resort and Spa won the most luxurious Spa Resort at the recent GeoSpaAsia India Awards. May 22, 2013 10:15 am 0 Comments.